I've had problems with my skin since I was a younger teenager. The moment the hormones hit me was the moment my clear skin began to fade away. I've always tried to combat my problem skin with more natural remedies than clinical ones, which was what initially led me to try Body Shop products in the first place. Normally, I'd go straight for the mask that helped get rid of spots, but I've found recently that my main skin concern has been how tired it's been looking. It isn't uncommon for people to tell me I look ill or tired. My skin is just that white. 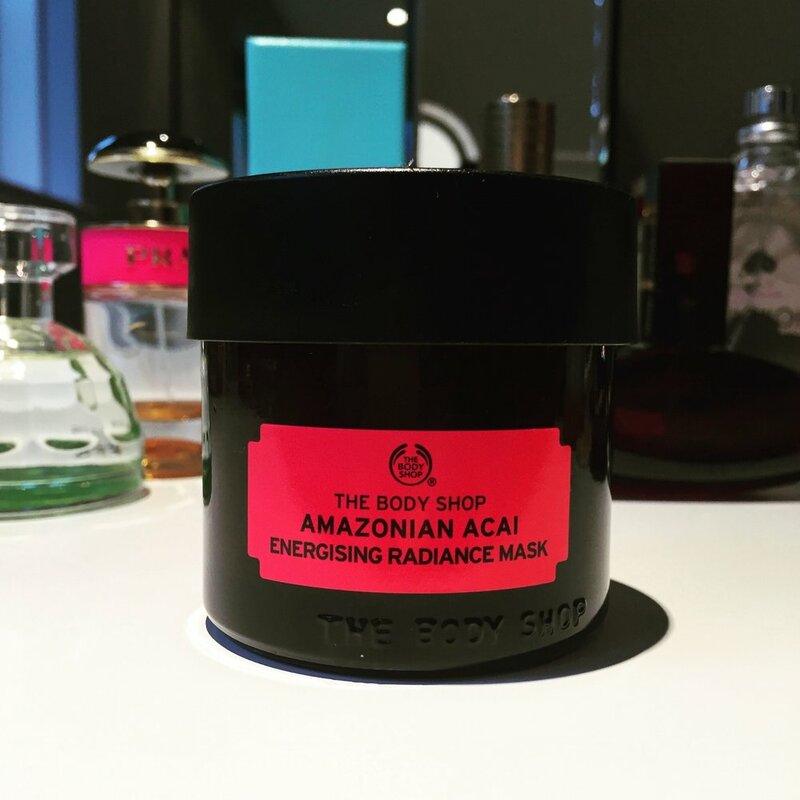 So when I spotted the Amazonian Acai Energising Radiance Mask I was sold. Basically anything that promises to wake my skin up is going to be a winner right now. The fact that it also exfoliates and is completely vegan? Bonus! So why am I only now talking about it? I wanted to use it a good few times to make sure that I could honestly say that I loved it. No quick draw responses here. I like to use something a lot before I have an honest to goodness opinion. So that's what I've done! All in all, I bloody love this mask. It's now on my once a week rota, and I'm still on the same pot! Value for money indeed. I'll definitely be trying the rest of the range soon. Have you tried any of the other new Body Shop masks? Which should I go for next?